Kitchen Assistant Description Zebu Daycare Dalston is looking for a Kitchen Assistant to join our friendly and happy team. 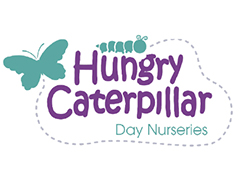 Role Overview A supportive role to ensure the smooth running of the Nursery kitchen To support the Nursery Chef in providing a nutritious and well-balanced diet for the children and ensuring children’s dietary needs, particularly serious allergies, are met. To cook Nursery meals and manage the weekly food ordering and stock rotation/control in the absence of the Nursery Chef To maintain high standards of hygiene. To adhere to food hygiene policies, standard operating processes and legislation. Room cover where necessary Salary/Benefits Excellent base salary Christmas closure Reward and recognition bonus scheme – potential £1,000 termly bonus Funded training courses and studies Paid time for parents' evenings and staff meetings/key persons meetings Career progression and promotion opportunities Enhanced DBS check and Capita annual renewal service paid for Employee of the Month Staff discount for childcare Pension scheme Supportive management team - "Open Door Policy" Uniform provided This position is a full-time position and salary is dependent on experience and suitability of the successful candidate. Zebu Daycare Dalston is committed to safeguarding and promoting the welfare of children and we expect all staff and volunteers to share this commitment. Background checks and Enhanced Disclosure and Barring checks will be required. Essential Skills/Qualifications: A positive attitude A team player Effective communication skills Knowledge of basic health and safety and food safety Willingness to undertake further training as required Ability to undertake all physical aspects of the position Adept at dealing with stress Desirable Skills/Qualifications: Previous experience in a similar role Previous experience of working in a childcare setting Knowledge of safeguarding and first aid. Marylebone Services work with a huge variety of childcare settings in and around London who require Level 3 Nursery Nurses to work on a temporary basis, this can be day to day, short or long term. This is a perfect opportunity to work days and hours that meet your requirements and work around your life commitments. 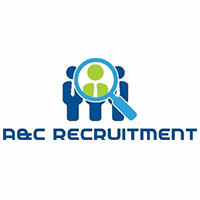 We supply staff to many childcare settings around London, these include Private & Government Nurseries Schools Creches Centres Holiday clubs Breakfast & Afterschool Clubs If you are an Experienced, Qualified and flexible nursery nurse and meet the below requirements then please apply today. Requirements Up to date DBS (if not, this can be done through us) Childcare qualification (minimum level 3) Paediatric First aid Experienced Understanding of the EYFS When you join our agency, you will recieve many benefits such as: Competitive rates of pay £9.20-£9.75 an hour Chance to become employee of the month Holiday pay Oppurtunity to broaden your experience The ability to work on days and times that meet your needs and requirements. If this sounds like the ideal job for you then please apply today and we can arrange for you to come in and register with us. I look forward to hearing from you. We set out to redesign the nursery experience for families in the city – offering a fresh outlook on Early Years education, while also solving some of the key problems that most frustrate parents. We opened our first site in Stoke Newington in 2017 and now we're building progressive and design-led nurseries across London – creating exciting settings for children and providing real value for families. Take a look for yourself www.nfamilyclub.com About the role Educators at N have the most important job of all - caring for our most influential customers: the children. At N, we’re lucky enough to be building everything from scratch. Our brand-new 90-capacity nursery is fitted with all new facilities and the finest educational tools around. Responsible for teaching and contributing to the smooth running of your room, you’ll be working closely with your Room Lead to see that policies and procedures are embedded into staff practice. Working in a team of bright & committed Educators, you’ll help each other to develop new and creative ways of teaching the children in your care. What you will be doing - Responsible for the delivery of our 'learning through play’ educational ethos - Innovating with activities and constantly challenging your children’s learning and development - Building and maintaining excellent relationships with parents - Promoting child welfare and ensure safeguarding procedures are followed - Working a flexible shift pattern within the opening hours (7am-7pm) About you - Passionate and positive (always see the glass half full) - A love for customer service (making people happy) - High energy brought to every task you take on, and solution driven approach to problems - Min 2 years’ relevant experience - Immediate start positions available. Benefits We have a fantastic work environment that enthusiastically encourages creativity, growth and autonomy. Benefits include; - Market leading salary (£17k- £22k depending on experience) - Real career progression, lots of opportunities for development as we expand - You’ll be part of N Academy which could put you on track for an EY degree - Round the world ticket and 3 weeks paid leave after five years - Great team spirit, events and socials - Free lunch, smoothie and barista made coffee each day Please include a cover letter explaining why you're the best person for the role and why you are the best fit for N Family.